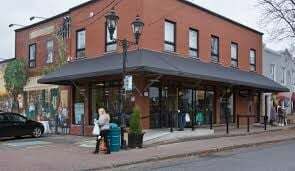 “This policy is part of the Pointe-Claire Village Special Planning Program and its vision to make our Village a prime destination in the entire West Island where people can live, work, and enjoy themselves,” said John Belvedere. The mayor of Pointe Claire was referring to a new initiative adopted by the city following a study last year of traffic patterns and spacing for Pointe Claire. The study identified areas for improvement as well as seeking out input from area residents. Other suggestions were to “include strictly applying parking time limits, redeveloping available parking on Lanthier Avenue, sharing parking spaces on private lots through agreements with the City, and installing directional signs,” said Paquette Seguin. “The goal of all these actions is to support economic vitality and a harmonious environment, and to improve the quality of life of Village residents,” Belvedere said.